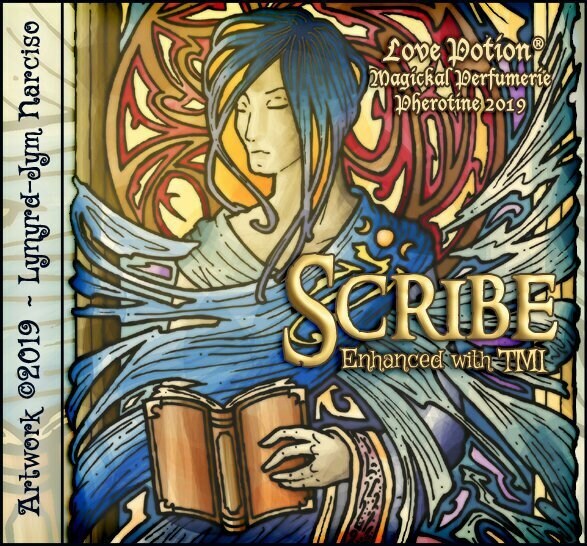 Scribe embodies a timeless aura with sandalwood, myrrh and vetiver plus a touch of dry vanilla. And because Knowledge Is Power we’ve enhanced it with our exclusive TMI pheromone formula. You might be surprised at how willing a relative stranger is to cuddle up with you, but that's the Alpha-Androstenol putting them in their happy zone while the heavy dose of Beta-Androstenol loosens their tongue and encourages them to share their most intimate secrets with you... you just may learn things about them that they've never revealed to anyone. There really is such a thing as Too Much Information, so be careful what you wish for! Scent: Woody sandalwood and antique books. VETIVER ~ Enhances perception of beauty. Love, sensuality, money, luck, hex-breaking.